Everyone has more weaknesses than strengths. Ignoring this truth makes leaders blind, confused, dangerous, and ineffective. You can’t ignore your weaknesses and succeed. I played basketball in high school. Sometimes our team was smaller than our opponents. To ignore your weaknesses is disaster. Weaknesses enable effective planning. You can’t compensate for something you won’t acknowledge. We relied on speed, agility, and hustle when the other team had taller players. We didn’t go against our competitors in their area of strength. Don’t trust anyone who claims to do everything well. Evaluate proposed projects with finishing in mind. Make a list of key success factors. Identify a project champion who reports on progress at every team meeting. Establish milestones that include reporting. Have a meeting with the project champion the day before team meetings. Identify action steps at each meeting. Determine who is responsible for each action step. Weaknesses are opportunities to row together. Make failure and success about the team. How will we support each other? When should we be most available to team members? How will we be accountable to each other? Where do we need to pull together? One way to maximize strength is to compensate for weakness. 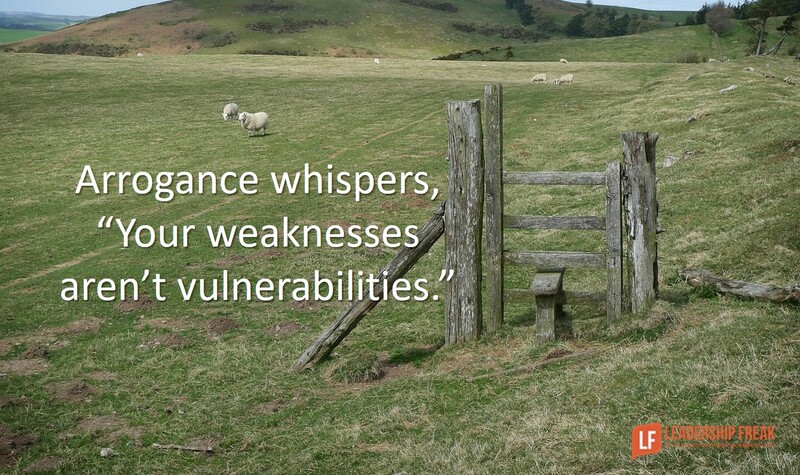 How might an awareness of weaknesses help leaders maximize strengths? If an awareness of weakness is acknowledged, this would demonstrate there may be opportunity, willingness to learn, learn further, develop further, whether it be from a leader only perspective or leader + team perspective. In learning they would be gaining more knowledge, pulling together as a team, in turn this knowledge and partnership, would then become a strength. Excellent way to think about this. Instead of dwelling on weaknesses, we need to make plans to anticipate them and mitigate them. AND, some of us allow our strengths to operate as weaknesses as we tend to overuse them. Our strength of being able to focus on details can then result in analysis paralysis and our tendency to involve others can be perceived as being needy. Perspective on all things is quire useful. Scott, Great point. I was at an ASTD conference listening to Marcus Buckingham and he got a question from the floor about this very thing. He pooh-poohed the idea… that strengths can be overdeveloped into so-called weaknesses. Many people think that strengths and weaknesses are 2 completely distinct sets of behaviours. In short, rather than talking about the strengths and weaknesses managers need to have conversations around strengths and “enough”… what a good job looks like. As leaders acknowledging our weaknesses and working to strengthen them can be one objective, the other side is out smarting the competition with your better strengths. Learning to use all your best resources to the fullest can often side step your weaknesses. From the team approach we mix the group enhancing strength to compensate weakness, in turn we are building the best group since they learn off each other (we hope that is the goal) by working together. And our strengths may be our weaknesses! I like the ‘Identify action steps at each meeting”…often is missing….and then you are missing out on opportunities to celebrate the completion of even small action steps…all worth it.